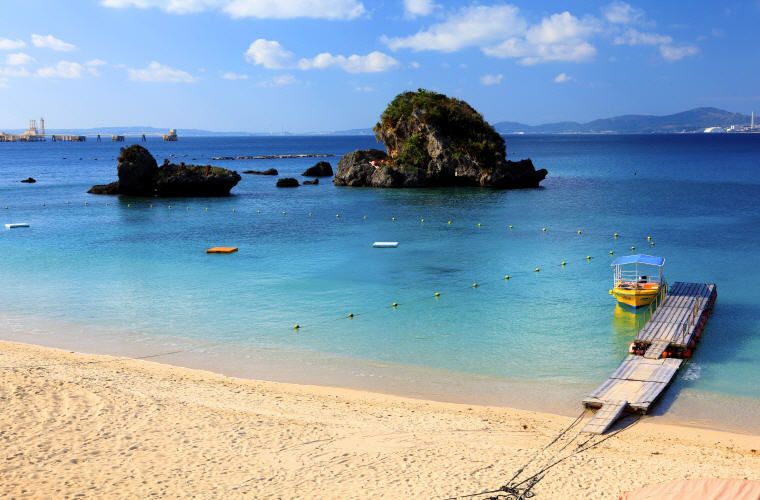 The southernmost prefecture, Okinawa, is one of the most popular getaway destinations for many Japanese. Its clear turquoise water, beautiful blue sky and white sandy beaches are drawing people from all over the country. 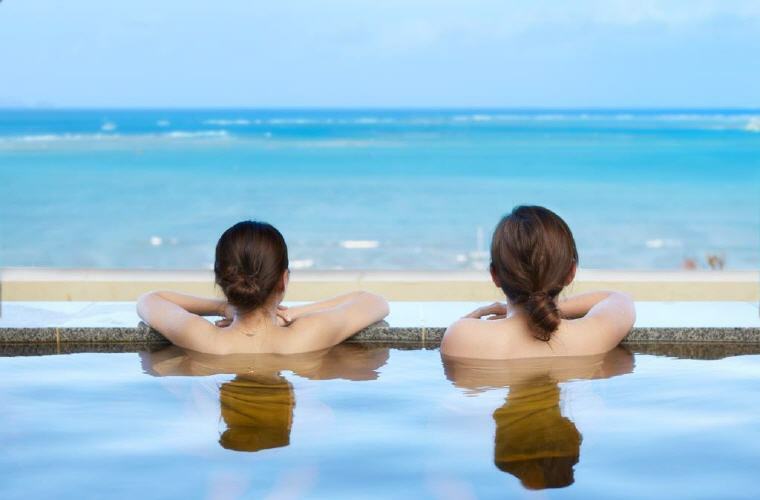 Sea sports, whale watching , chasing cherry blossoms, dining, hot springs, World Heritage Sites…The fun never ends! 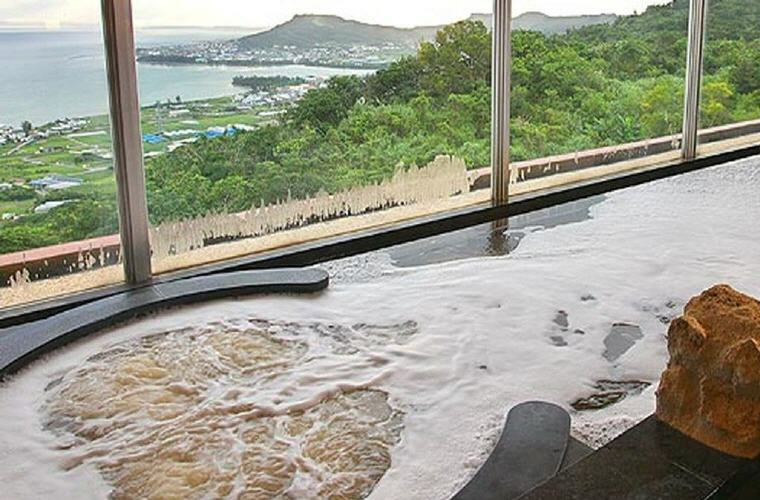 Here are 12 top things to do to experience Okinawa, the Japan you may not know exists! 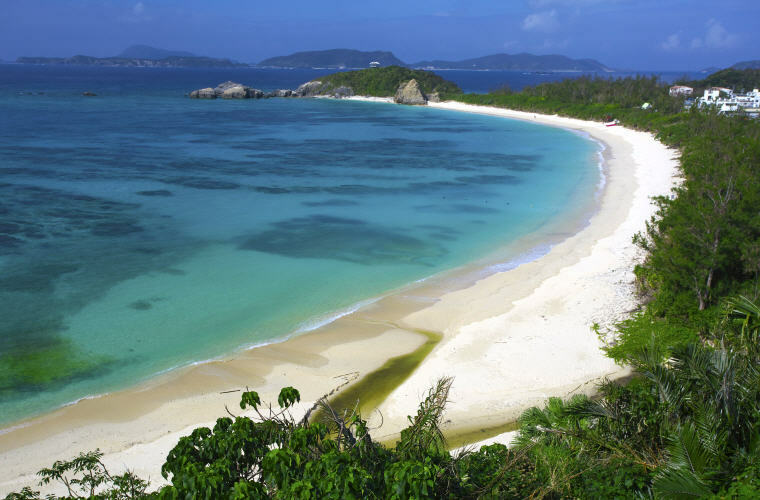 Okinawa is not only known for its blue ocean, white sandy beach and glittering sun! 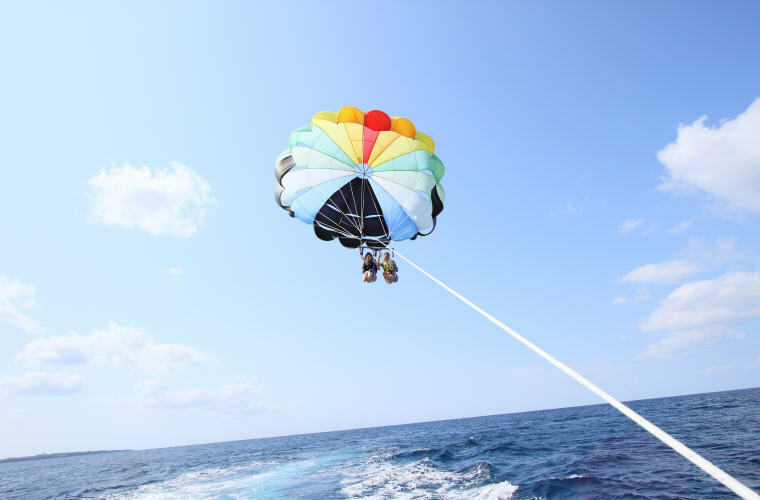 You can also engage in a variety of sea sports and activities such as fly bord, parasailing, banana boat, sea kayak, SUP (Stand Up Paddle), snorkeling, and diving just to name a few. 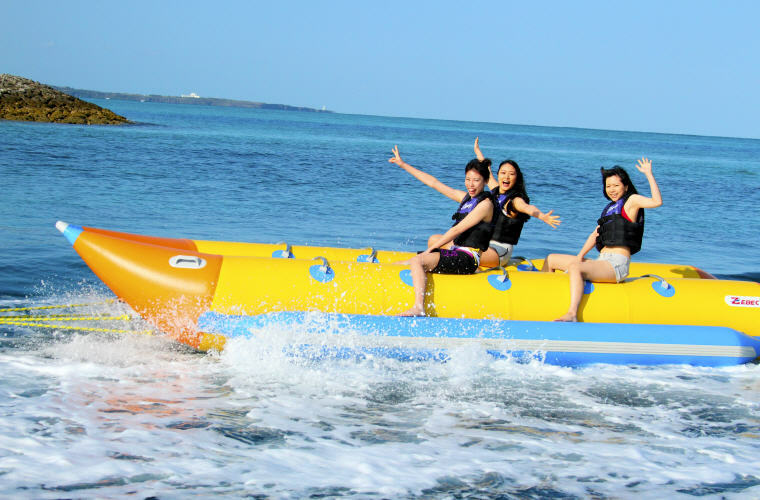 With so much sea sports and activities you can engage in, this definitely deserves to be in this list of the top things to do in Okinawa. 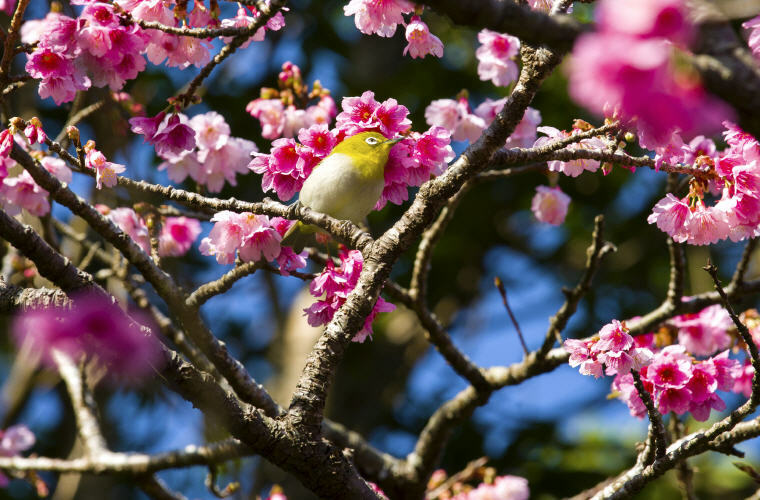 Okinawa, the southernmost prefecture of Japan is where you can admire Japan’s earliest cherry blossom blooming. In fact, it is the first prefecture in Japan to see cherry blossom each year, making it one of the top things to do. 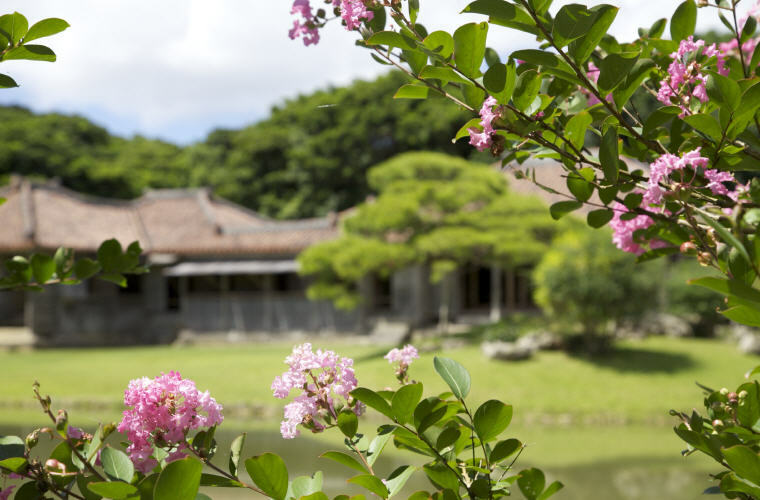 In Okinawa, Kanhizakura (native to Taiwan) blooms beautifully in a backdrop of green mountains and blue skies. You can leisurely stroll along and take pictures of the cherry blossoms, or check out the roadside food stands. 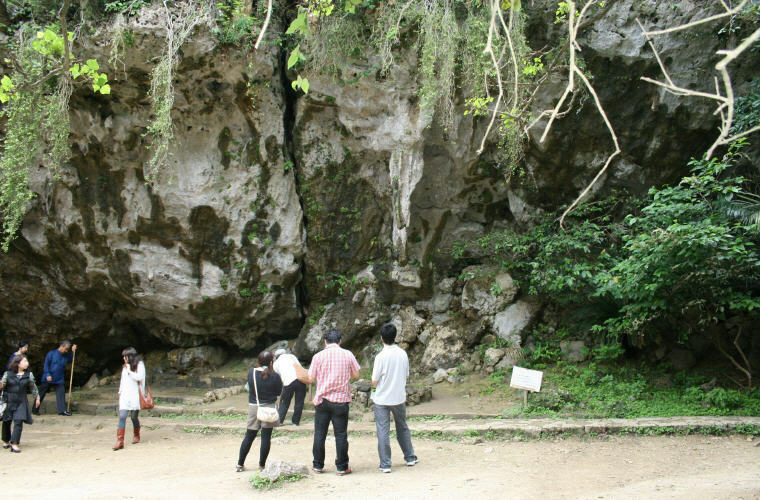 The most popular viewing sites are Mount Yaedake in Motobu Town, Nakijin Castle Ruins in Nakijin Village, and Nago Central Park in Nago City. In addition, there are also cherry blossom festivals in various locations which are scheduled to coincide with the blooming of the flowers. 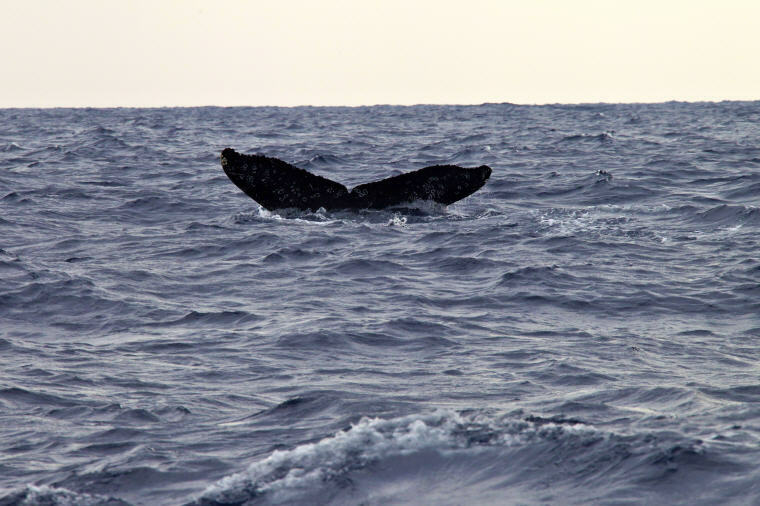 Aside from blue waters and white sand beaches, January through March in Okinawa brings something extra: humpback whales, which can be seen swimming, jumping and playing in the coastal waters off the coast around Kerama Islands. 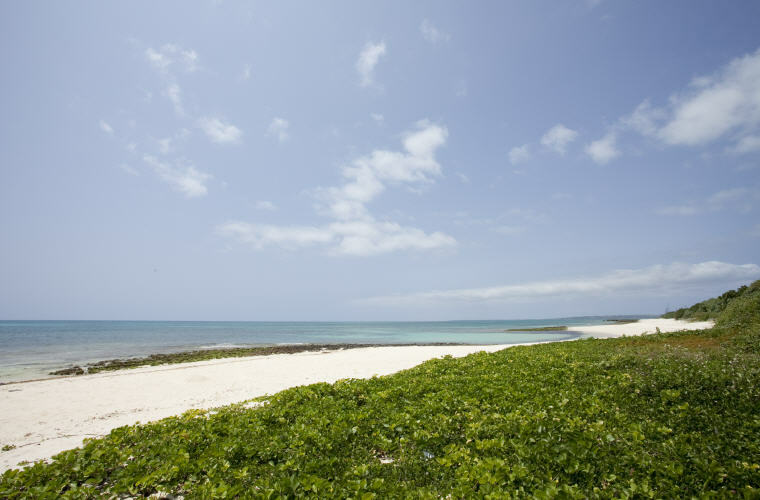 The Islands are a group of 22 islands in Okinawa in which four of the islands Tokashiki, Zamami, Aka, and Geruma are inhabited. 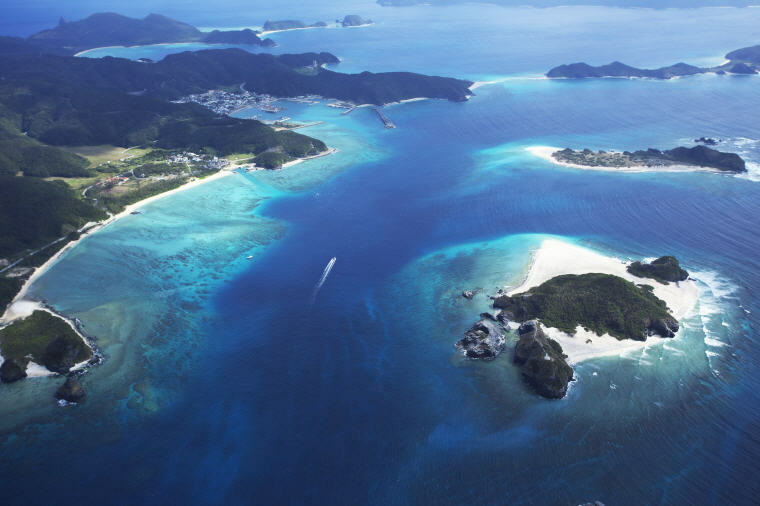 Furthermore, Kerama Islands are well-known as the best place for whale watching in Japan. The dynamic and emotional encounters with whales surely makes whale watching one of the top things to do in Okinawa! 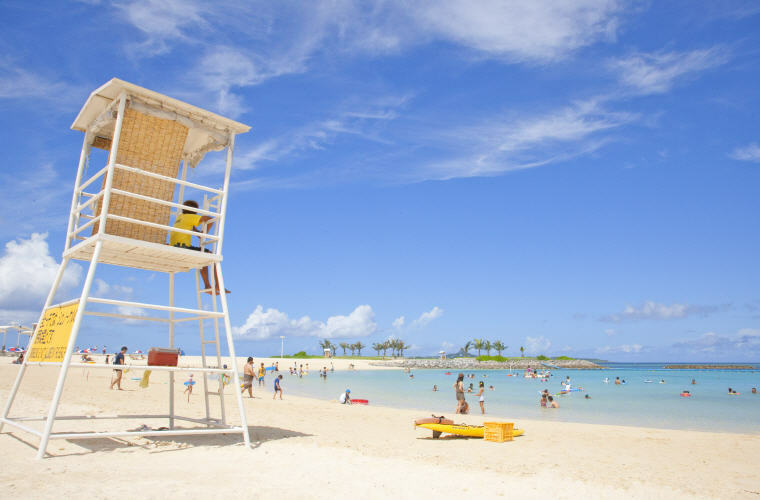 Sunscreen: The sun in Okinawa can be strong in the winter. Even when the weather is nice, you may even get a tan. Thus, do pack sunscreen, a hat, and sunglasses. Medicine for motion sickness is essential for those who get sea sick easily! Take it before boarding and look out into the distance when you are on board; it is supposed to help in preventing sea sickness. 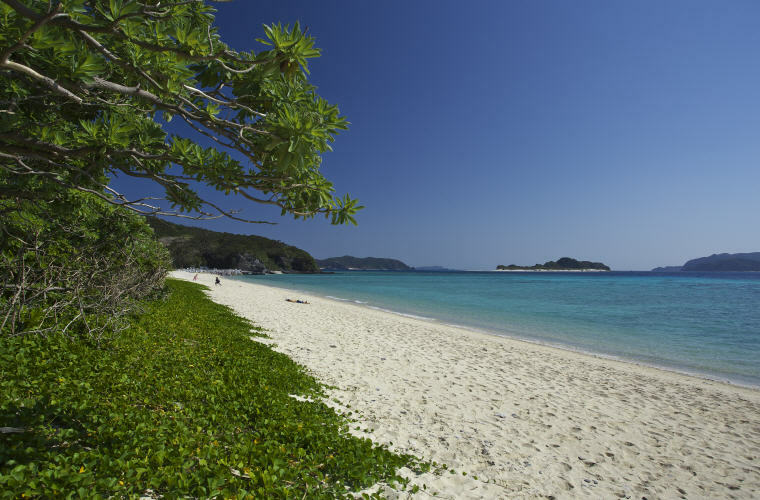 Wear something warm and waterproof: The sea wind is cold during this season even in Okinawa. Take the tour in warm clothes which can get a little wet. You can be better prepared with a towel. Even on days when the waves are calm, walking on the boat can be very unstable. Please avoid skirts and high heels, and instead, wear sneakers and clothes that allow you to move around easily. 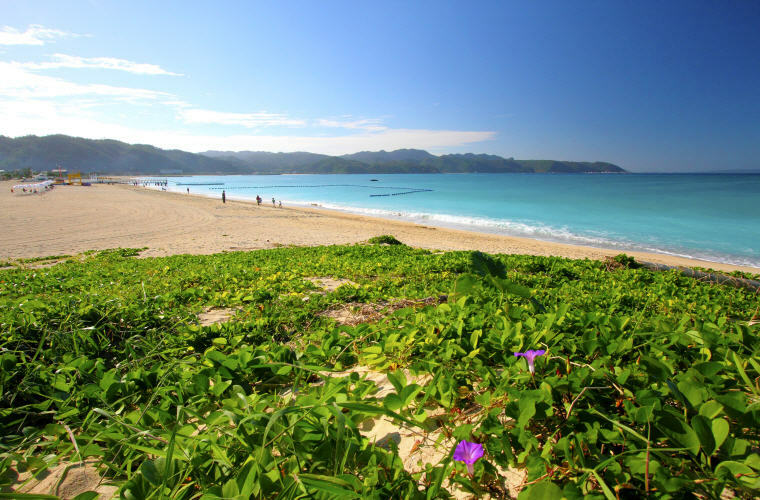 As a result of its warm subtropical climate, you can enjoy various kinds of flowers in Okinawa almost all year round. 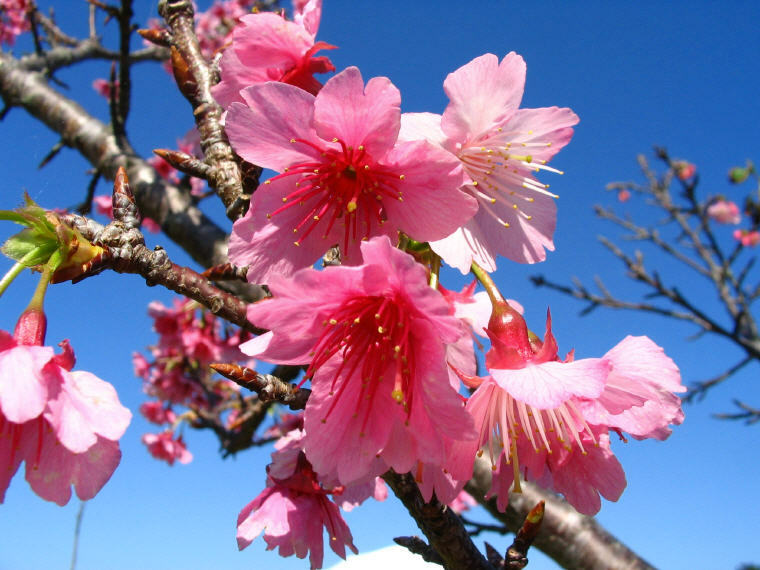 In addition to Japan’s earliest cherry blossom blooming, there are many other flower festivals held in Okinwawa. 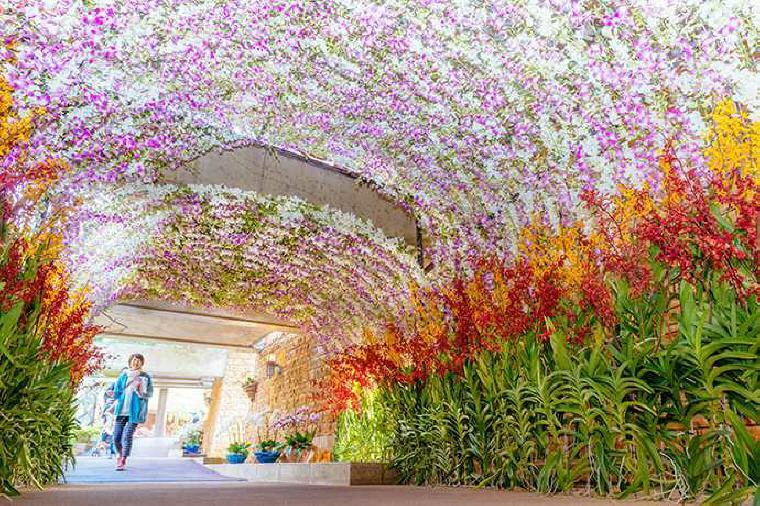 First, the Okinawa International Orchid Show in early February. 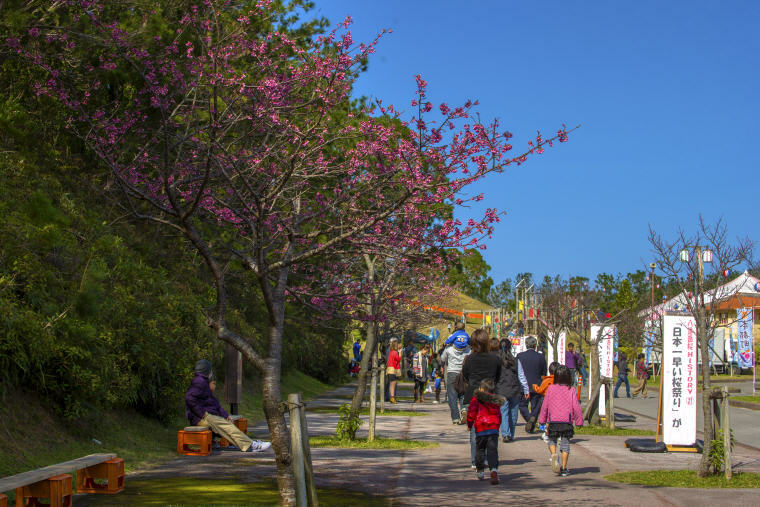 Then, the Higashi Village Azalea Festival in early to late March. 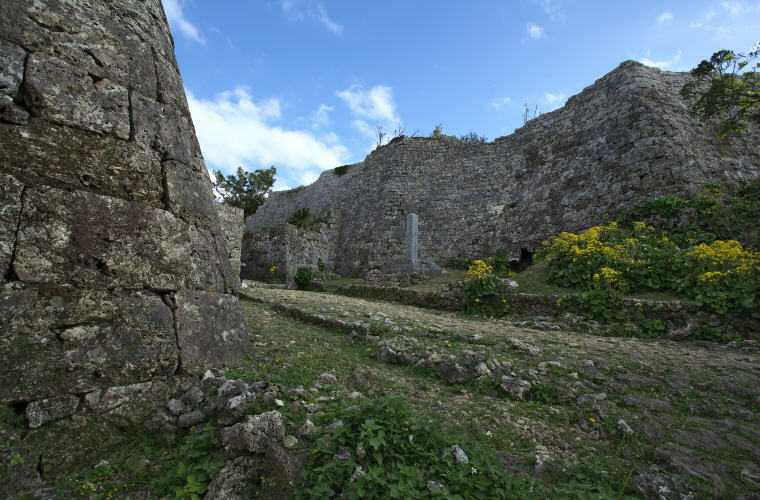 Next is the Lily Festival in Le Island in late April to early May, . And finally, Yohena Hydrangea Garden in early May to late June. 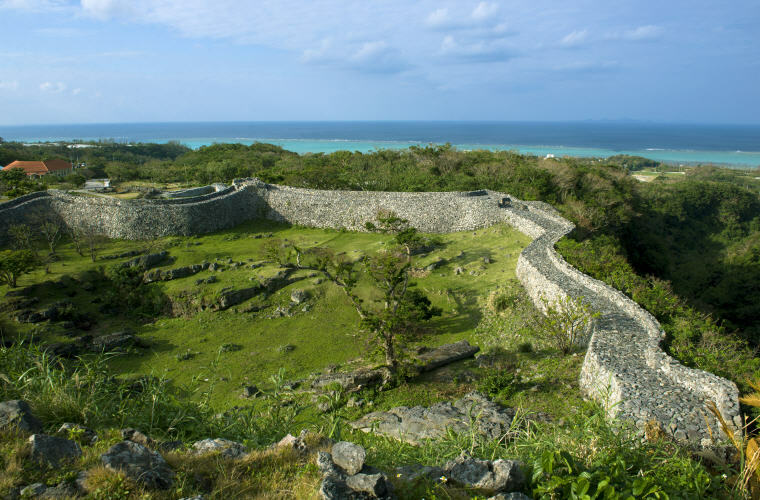 The Gusuku Sites and related properties of the Kingdom of Ryukyu consists of nine sites all located in the Okinawa Prefecture. 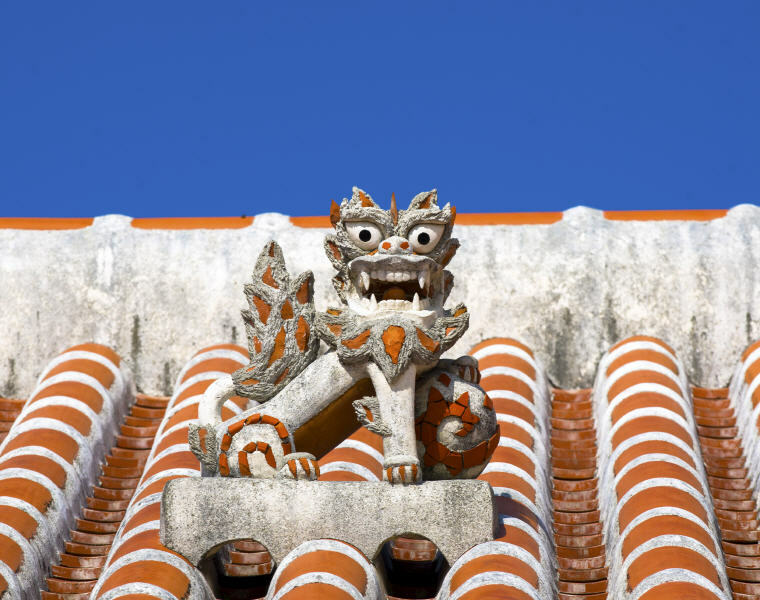 These sites symbolize the glory and history of Ryukyu kingdom (12th-17th century) and were designated as UNESCO World Heritage Sites in the year 2000. 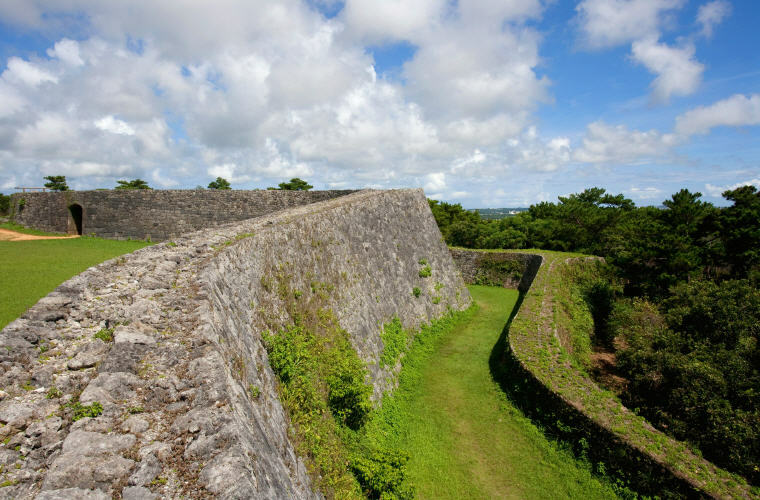 If you love history, visiting these sites is definitely one of the top things to do in Okinawa! 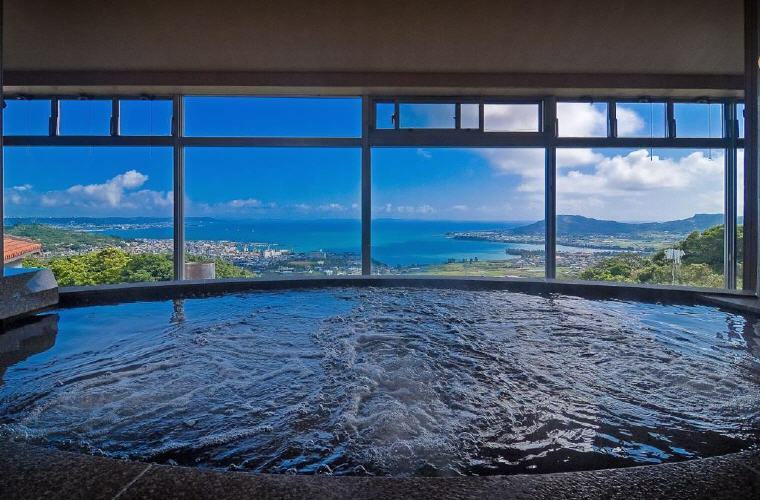 For Japanese travelers, hot springs is one of the top things to do in a trip and in Okinawa, there are many attractive hot spring inns and hotels offering delightful resort atmosphere of a southern paradise. 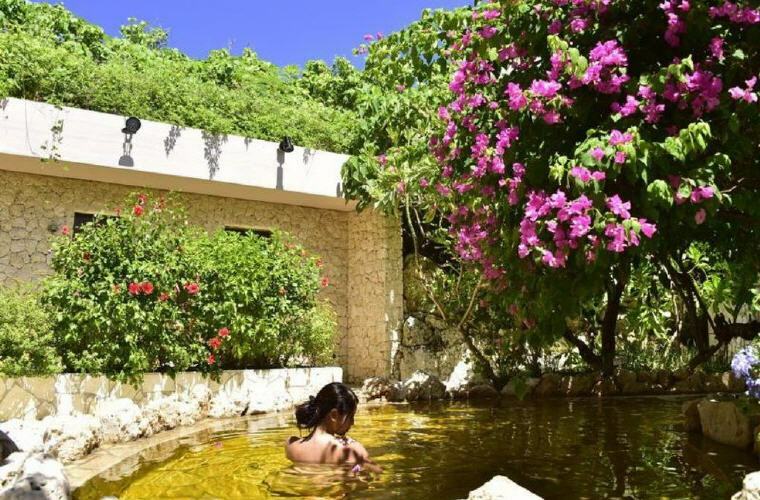 The open-air, natural spa offers a great view of the landscape. Watch the sun sets and transforms the colors of the beautiful blue seas and skies before your eyes. As night falls, the stars begin to shine above. 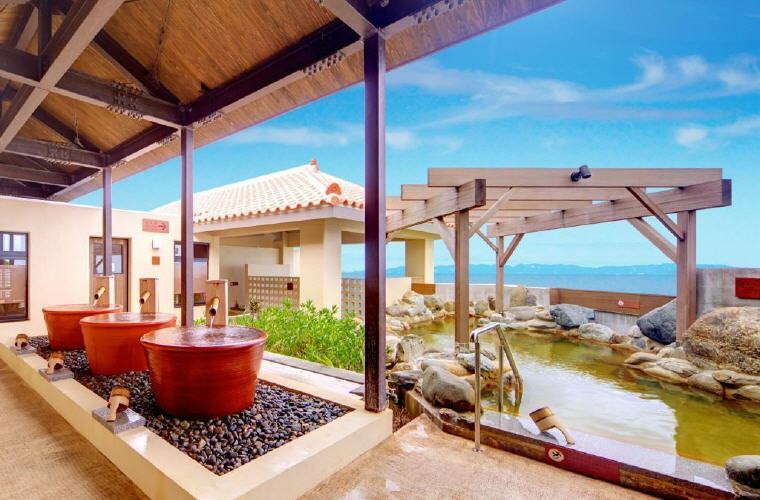 Feel the gentle sea breezes blowing comfortably in your face and your stiff muscles relax magically. 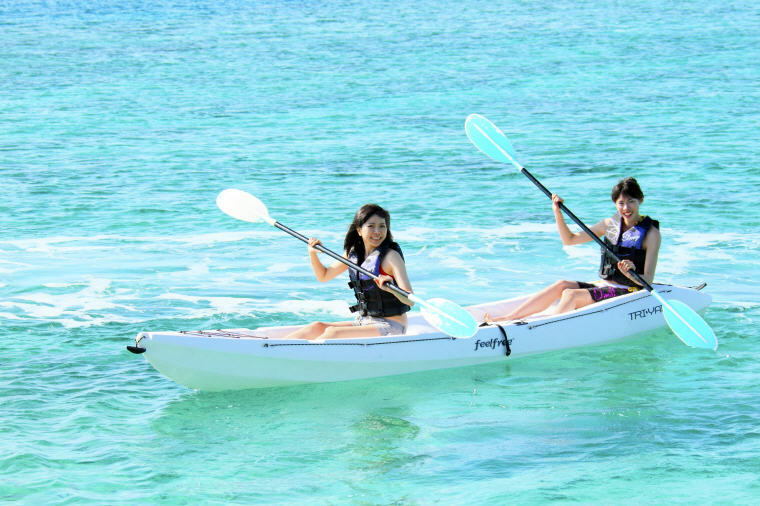 Definitely one of the top things to do in Okinawa! 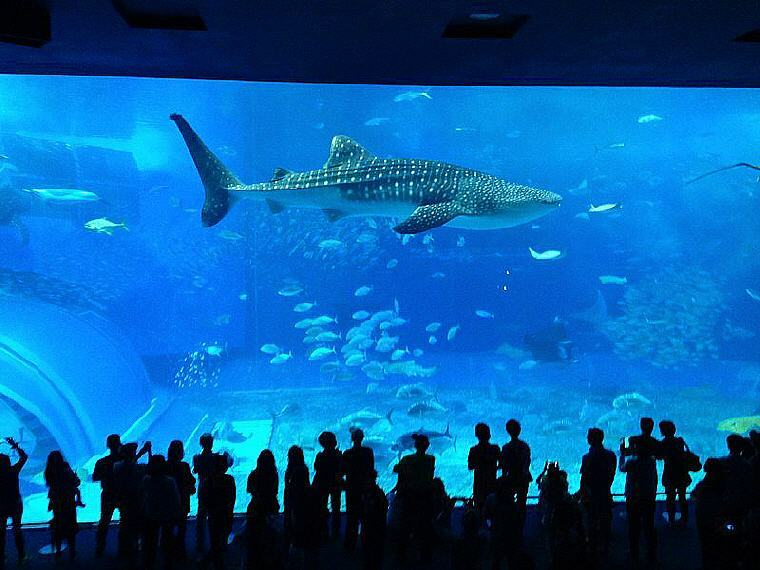 Home to around 740 species and 21,000 marine life, the Okinawa Churaumi Aquarium is one of the popular tourist destinations in Okinawa, attracting more than 3 million people each year. The aquarium starts on the third floor and takes you through the shallow waters down into the deep sea as if you were diving. The main tank, “Kuroshio Sea,” measured a depth of 10 m by length of 35 m by width of 27 m. Be captivated by the long whale sharks as well as reef manta rays swimming leisurely in the tank. As a result of warm waters around Okinawa, a wide range of inshore fish are caught. 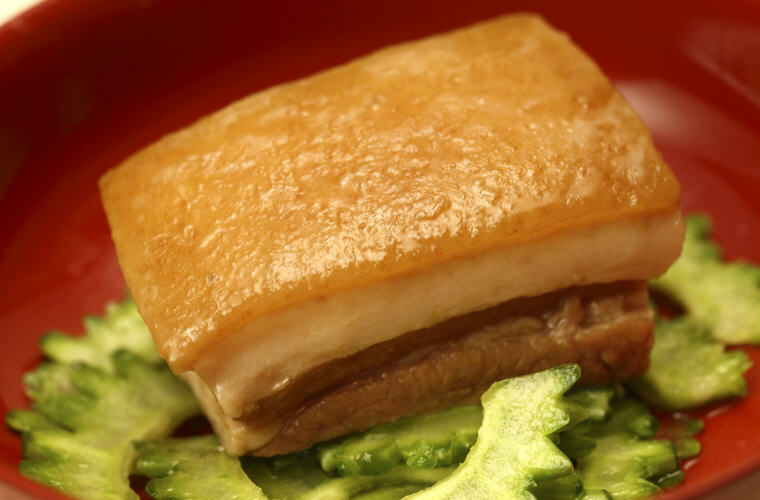 Out of the various fish, tuna in Okinawa is among the largest in Japan. In addition to that, fresh tuna is easy to come by. Furthermore, there are direct sales markets and eateries near the fishing ports which allow you to eat the fish freshly prepared on the spot. 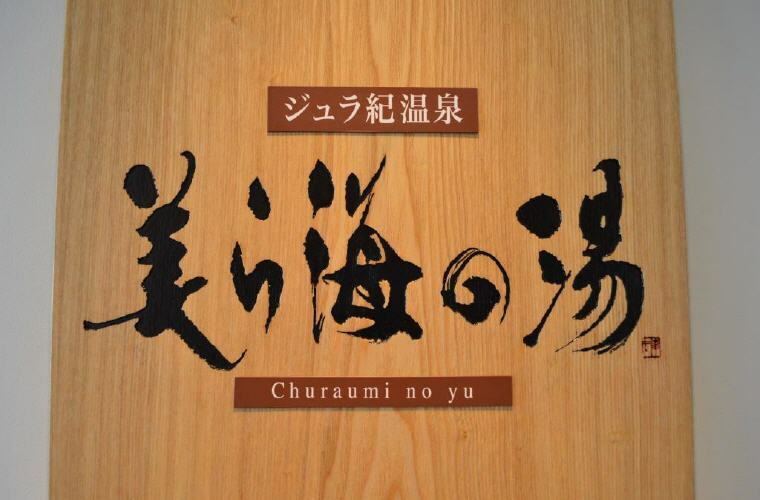 First, there is Tomari Iyumachi direct sales fish market where you can get tuna sashimi and tuna bowl. And if you want the tuna in season, this is the best place to get it. 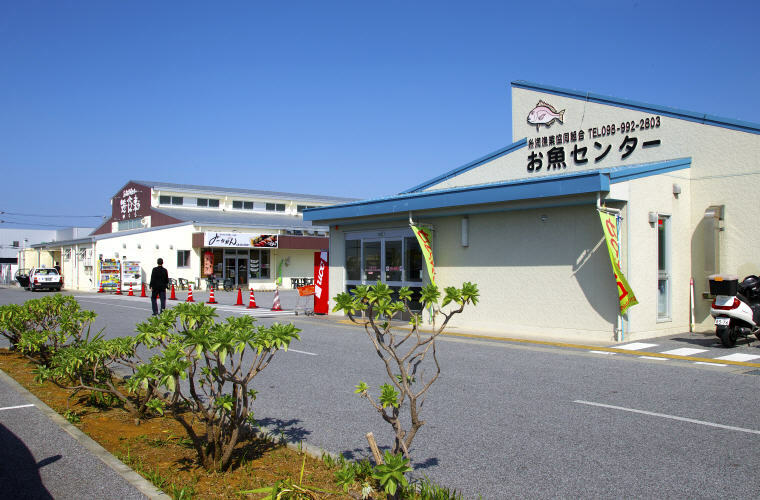 Then, there is the Payao Direct Sales Market located in the Awase Fishing Port, which is a popular fish market among tourists from overseas. 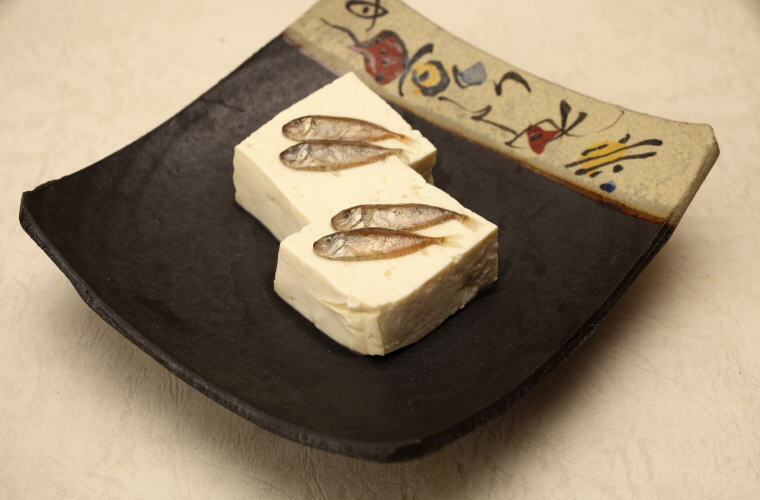 In Payao, you can get a wide range of menu items from sea urchin bowl, butter grilled imaiyu (fresh fish), to sushi set made on the spot and freshly fried tempura. 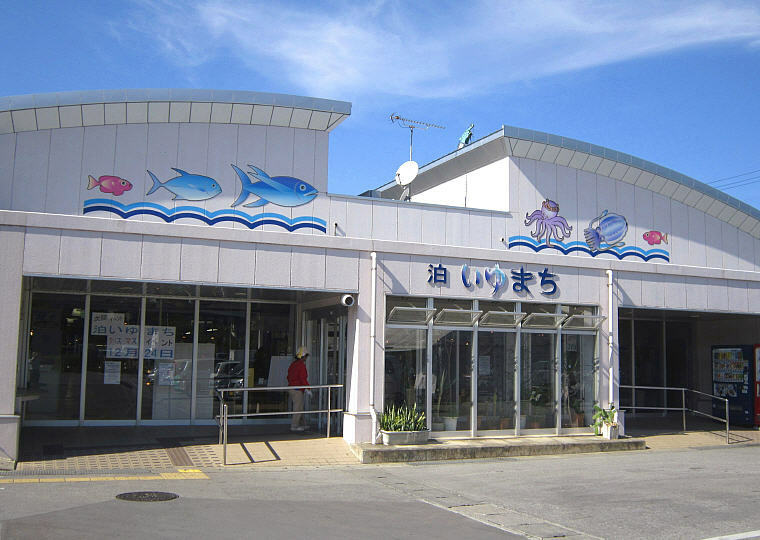 Next is Itoman Fishing Cooperative Osakana Center. 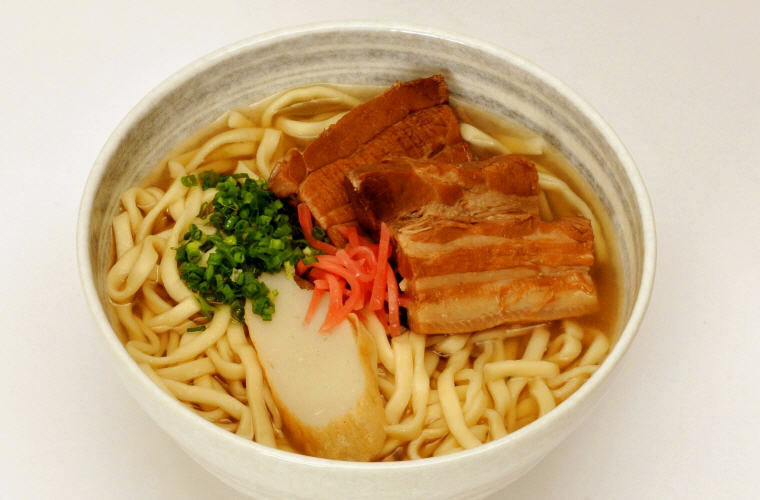 They have many reasonably priced items in large portions such as sushi made on the spot and fried fish, which can be taken away or eaten at the eat-in area. 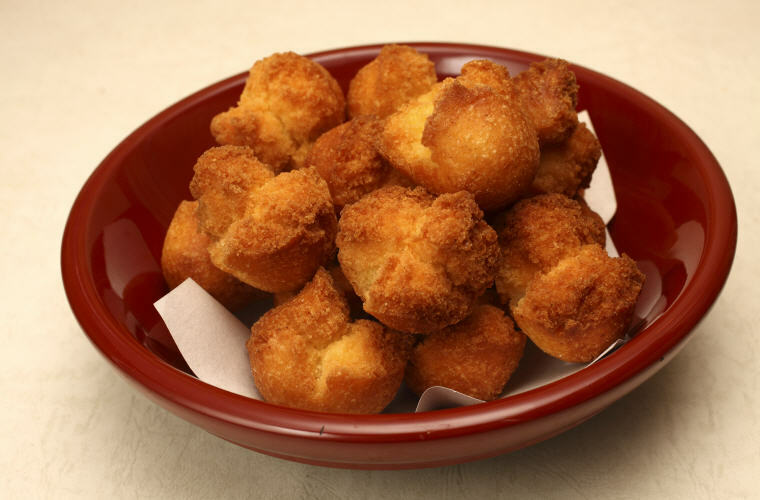 In addition, they also have raw oysters and cod milt as well as shrimp and tuna cutlets precooked and served in a popular buffet style. Prices range between 100 yen and 300 yen per item. 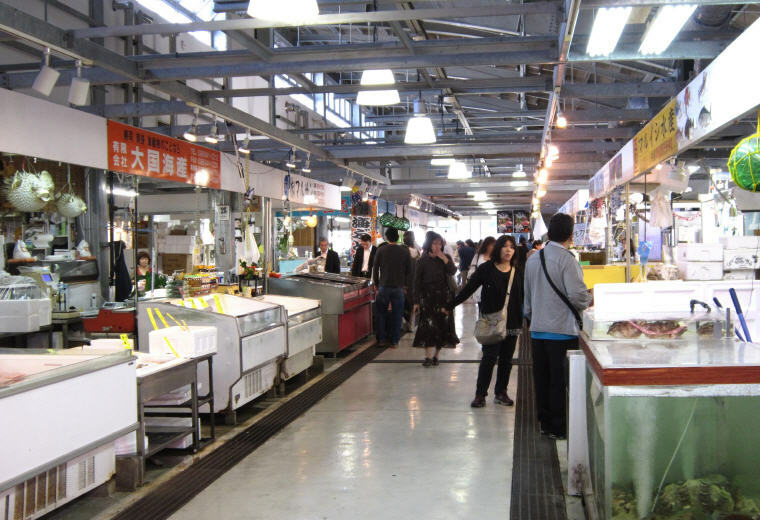 And finally, Ojima Imaiyu Market . 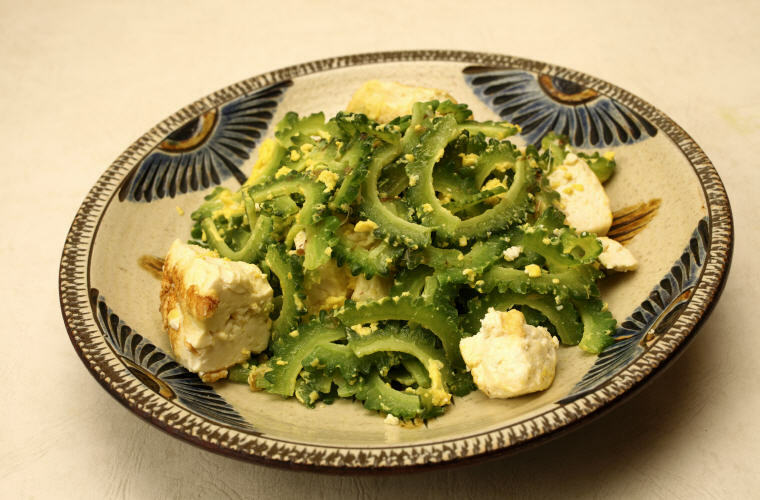 They offer plenty of options for food you can eat on the spot, such as sashimi, seafood bowl, and sushi, as well as vegetables and fruits farmed pesticide-free or with reduced pesticides in Nanjo. 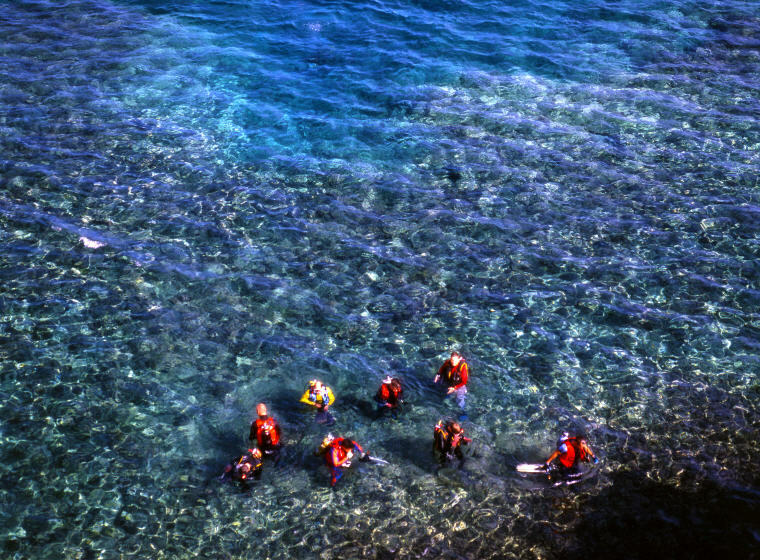 Okinawa’s clear waters allow divers to truly appreciate its stunning underwater seascapes. This not only makes it one of the greatest scuba diving destinations in the world but also one of the top things to do in Okinawa. 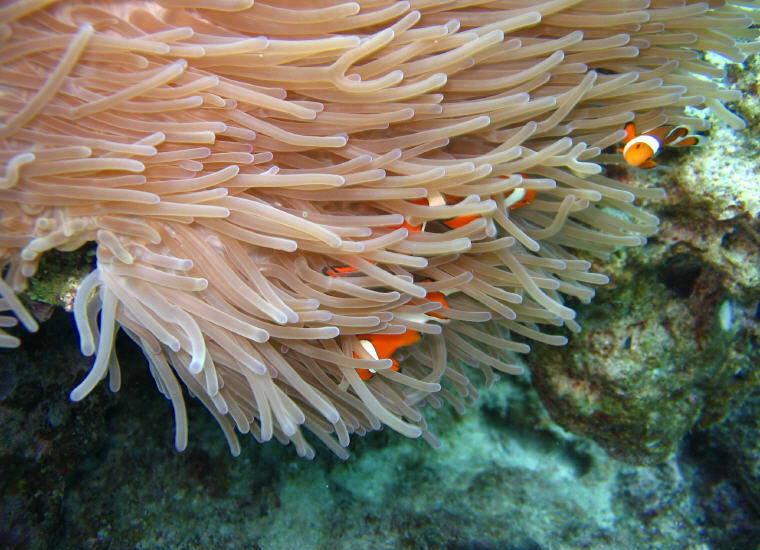 The underwater horizons feature not only caves, tunnels, drops and wrecks, but also pristine coral reefs. 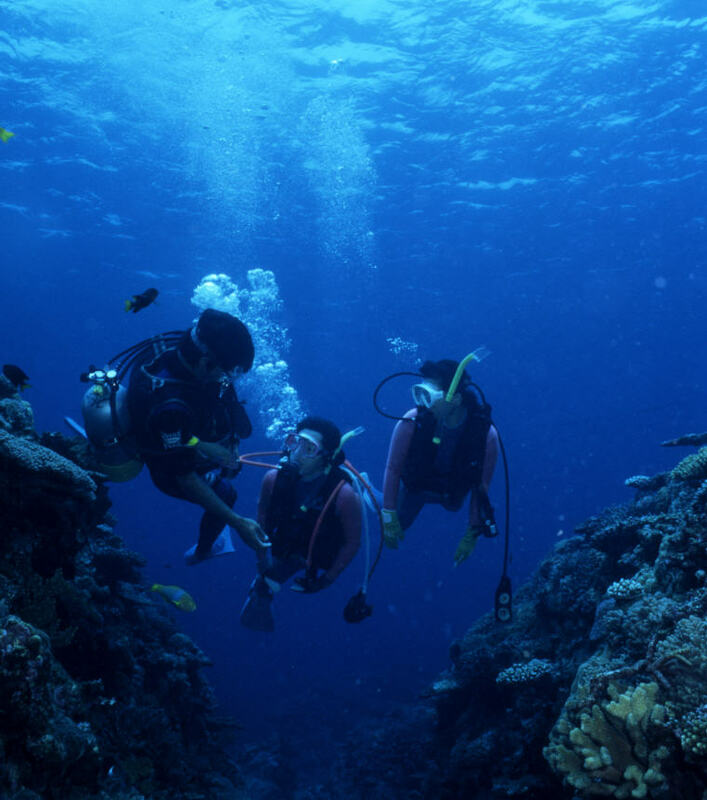 In addition, there are many diving spots throughout Okinawa suitable for divers of all levels of skill and experience. 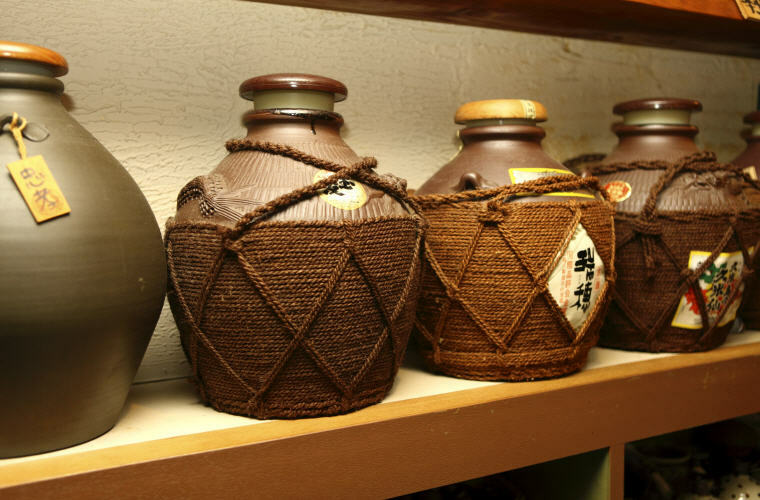 As a result of that, divers from around the world are drawn to Okinawa. 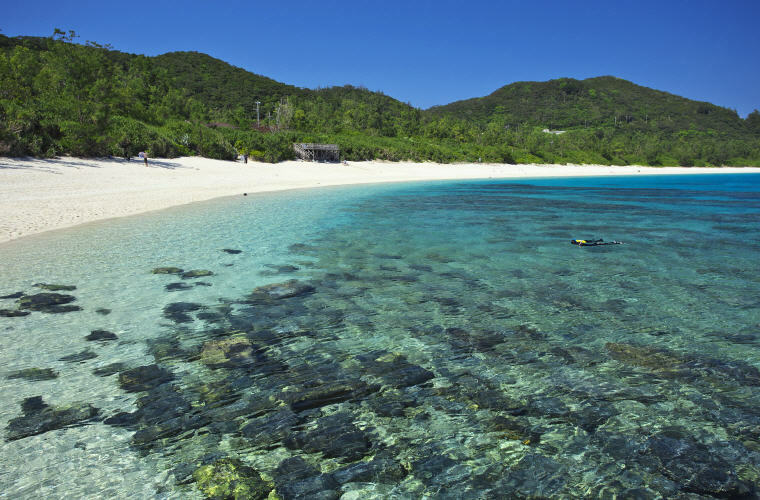 Furthermore, aside from the colourful tropical fish such as clownfish, the waters around Okinawa are also a paradise for animals including sea turtles and humpback whales. And finally, if you are lucky, you may see manta rays in Ishigaki and hammerhead sharks in Yonaguni. 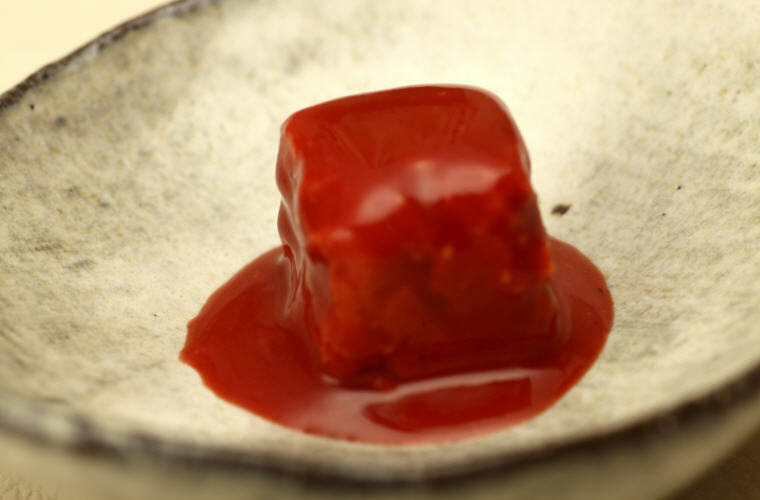 Japan’s southernmost prefecture has its own unique food culture, the result of both its location and the islands’ unique history. 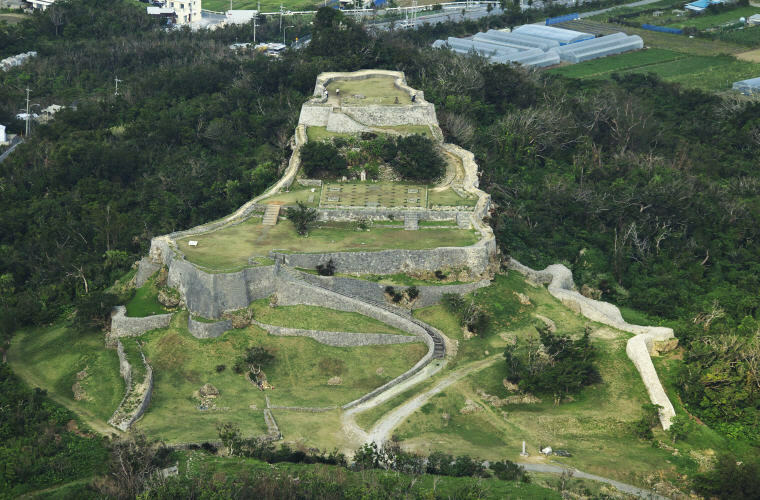 Okinawa was once part of an independent state called the Ryukyu Kingdom. 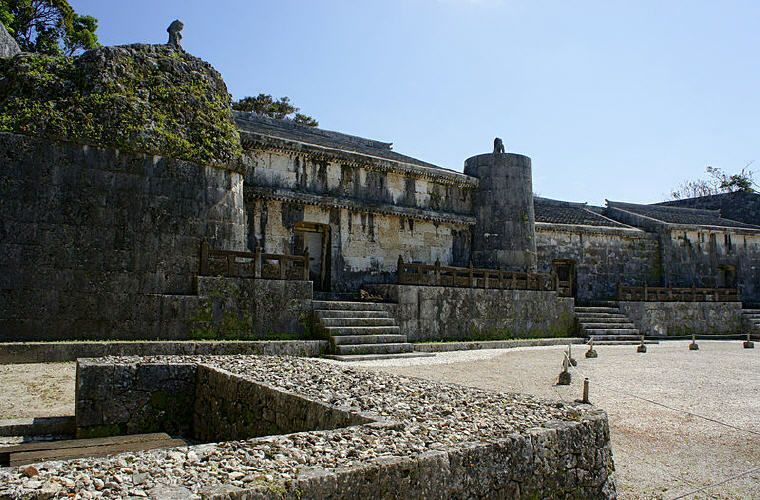 The Kingdom was an important trading hub linking China, Japan, Korea and Southeast Asia. 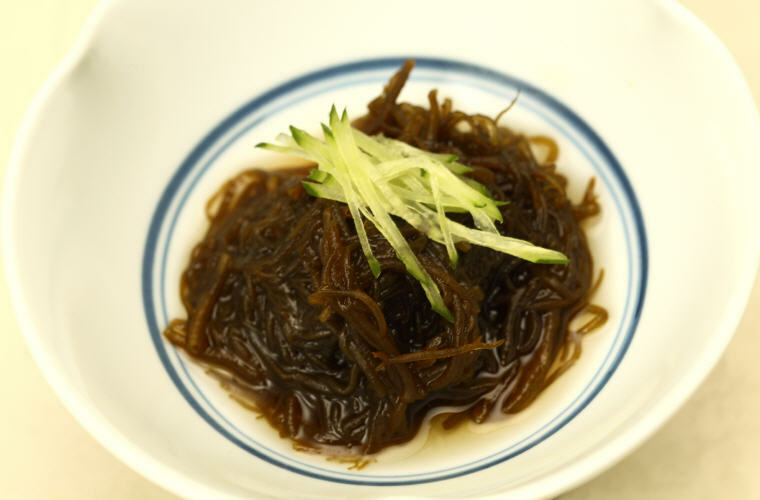 All those gastronomic influences helped form the cuisine that’s still served in Okinawa restaurants today. 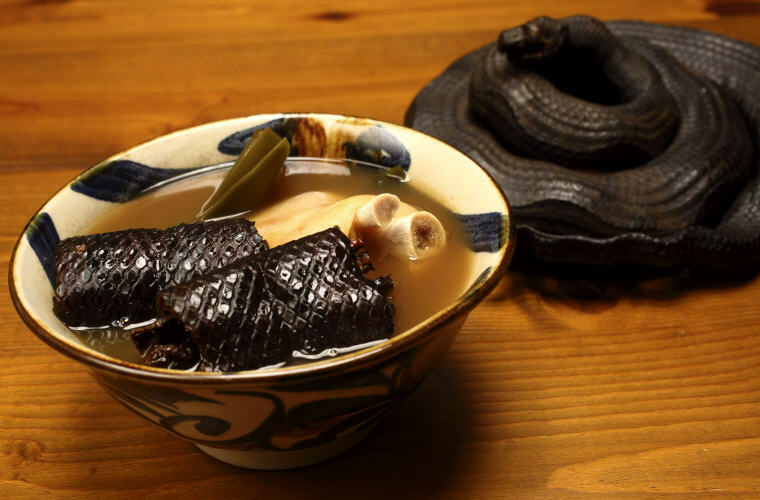 Okinawans are also known to use every part the pig for cooking. 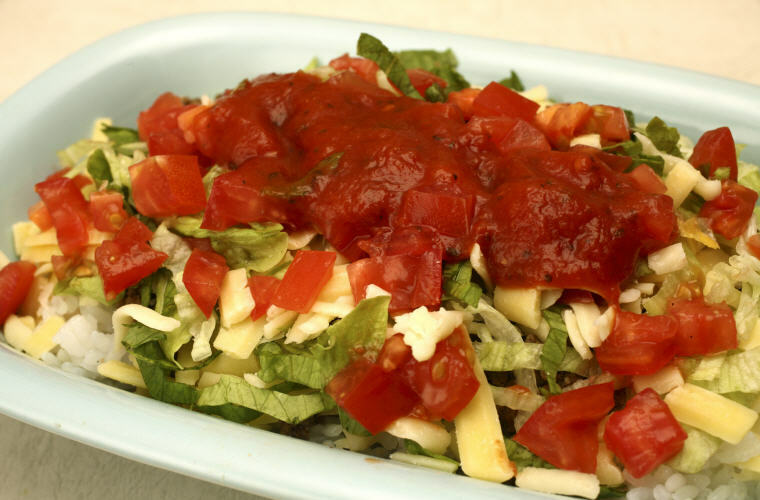 The most common cooking method is to stew it over an extended period of time to break down the fat for a healthy meal. 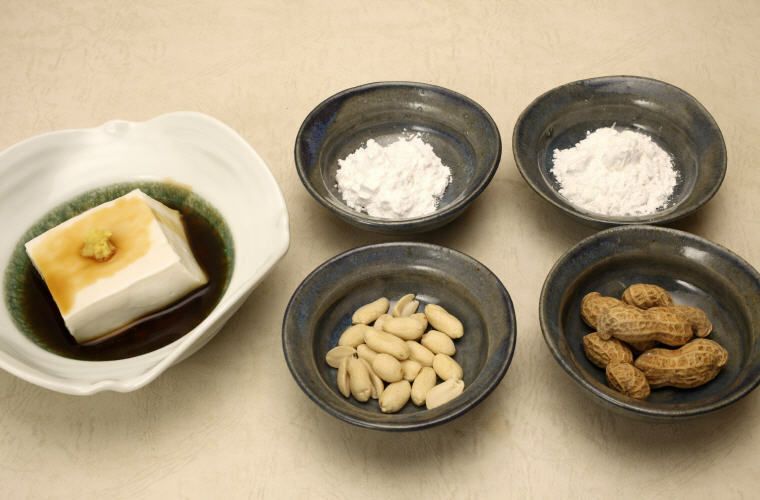 Eisa was originally performed on the last day of the three-day Obon celebration (13th-15th day of the 7th month, Lunar Calendar) so that people could give the ancestral spirits a good send-off. 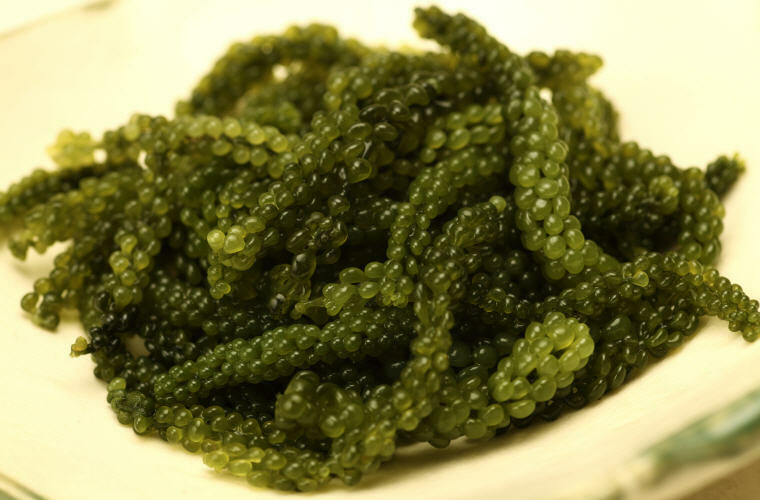 Nowadays, it is performed in summer festivals and special events. 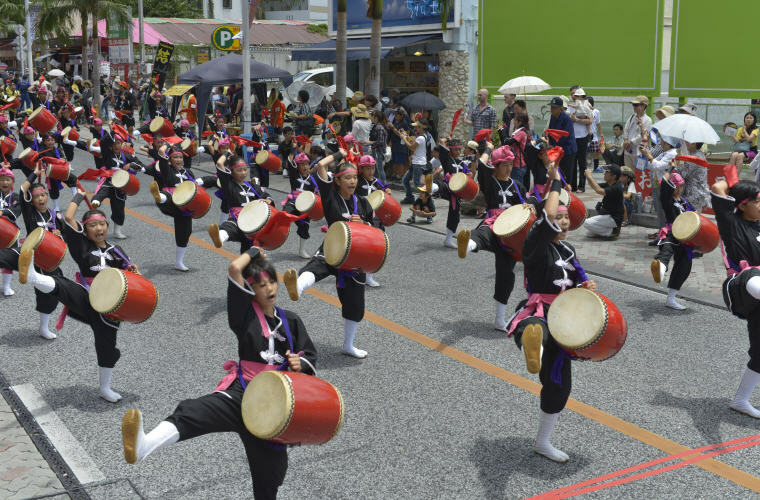 Eisa not only plays a role as a cultural feature that attracts people from around and outside Okinawa, but it also creates a great opportunity for locals of all ages to come together. 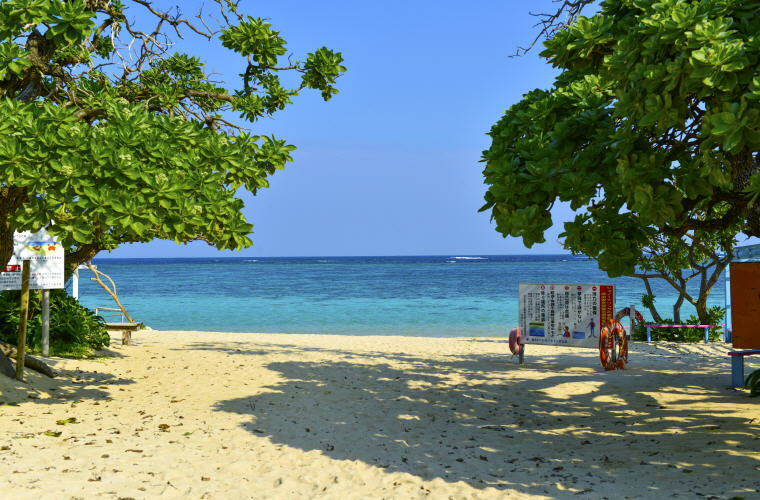 And if you are in a Bruno Mars’ The Lazy Song mood, ‘Today I don’t feel like doing anything‘, we recommend hitting one of the beaches in Okinawa! The rewards? 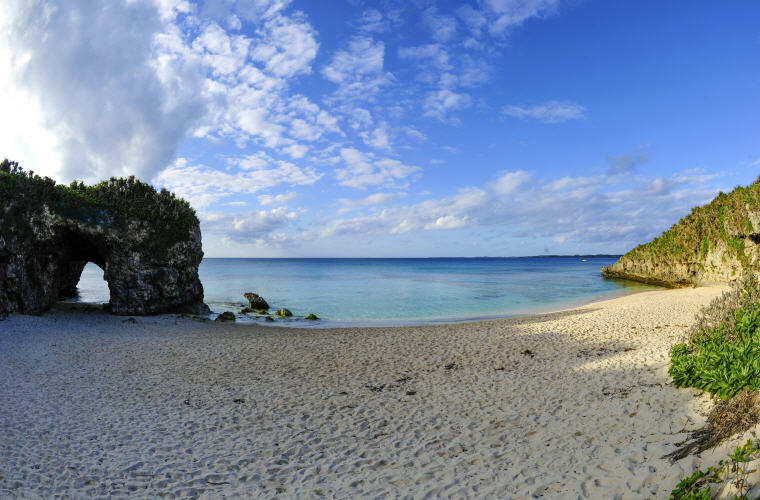 Gorgeous semi-tropical, white-sand beaches and clear turquoise water. Just remember to pack sunscreen, a hat, and sunglasses. An emergency phone call can be made free of charge from any phone including public pay phones. Call 118 to report an accident at sea to the Japan Coast Guard. 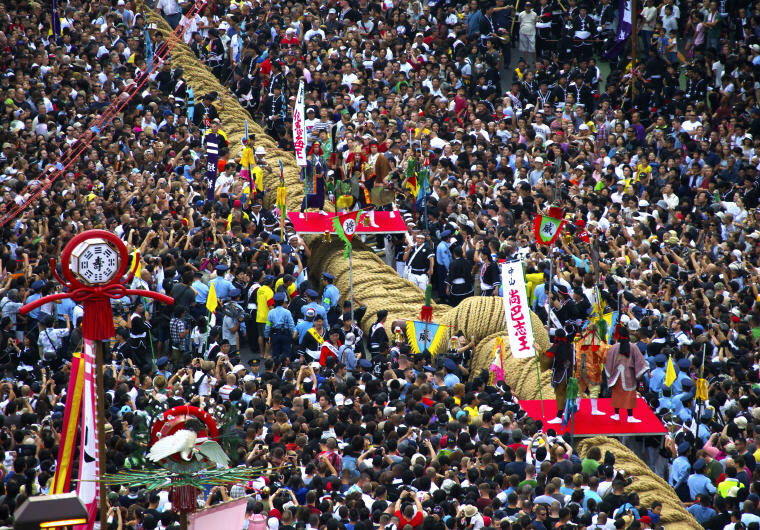 On the Sunday before the second Monday in October, 15,000 participants partake in the Naha Great Tug-of-War with a 40 tons and 200 m rope made of rice straw. 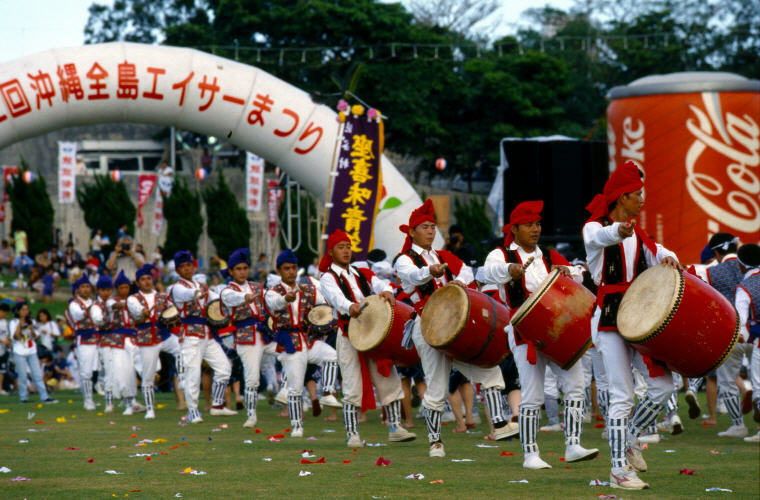 The annual event is to pray for the prosperity of Okinawa and also for the good health of the people. It is observed by about 270,000 spectators on National Highway 58 each year. This is definite one of the top things to do if you are there. It will surely be a great cultural experience! 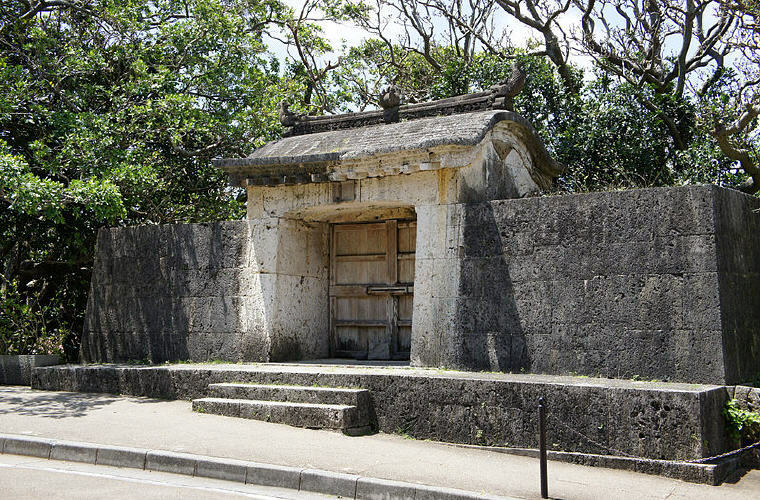 Okinawa is said to be the place of Karate origin. Today, it has even become one of the most popular martial arts in the world loved by 60 millions people in around 180 countries. 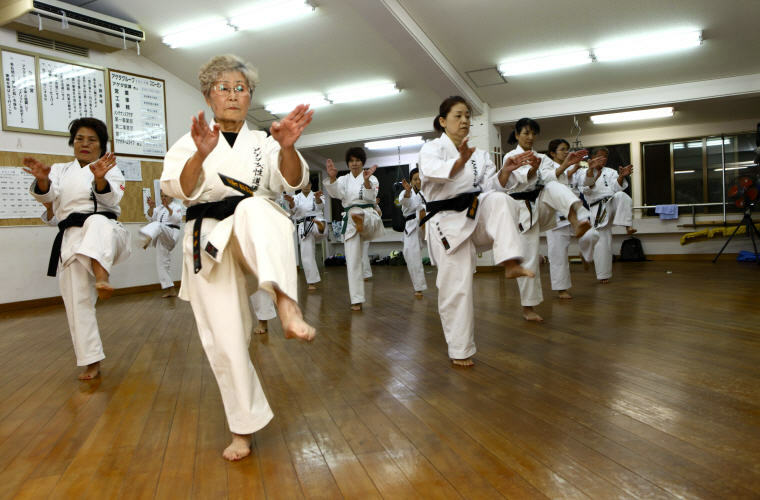 Although a variety of styles and schools have come into existence overtime, in Okinawa, the original and traditional karate has been protected, and its principles continue to be guarded. 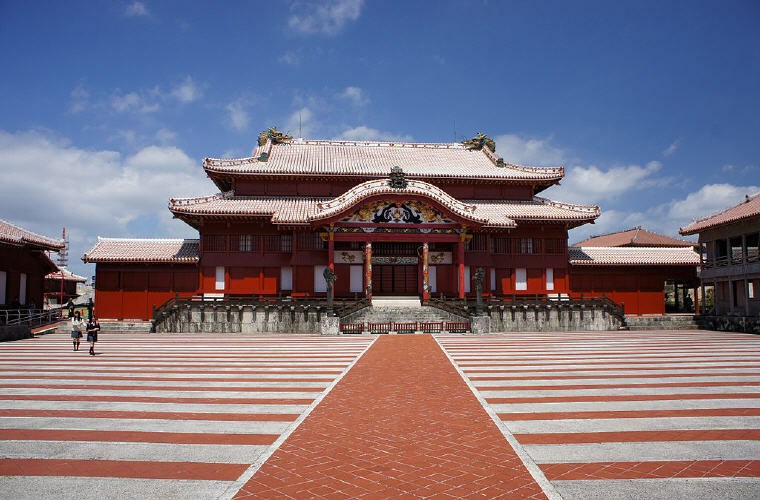 Currently, there are some dojos (training place for martial arts) in Okinawa that allow tourists to tour and to experience the martial arts. Thus it is a great opportunity to learn more about karate. 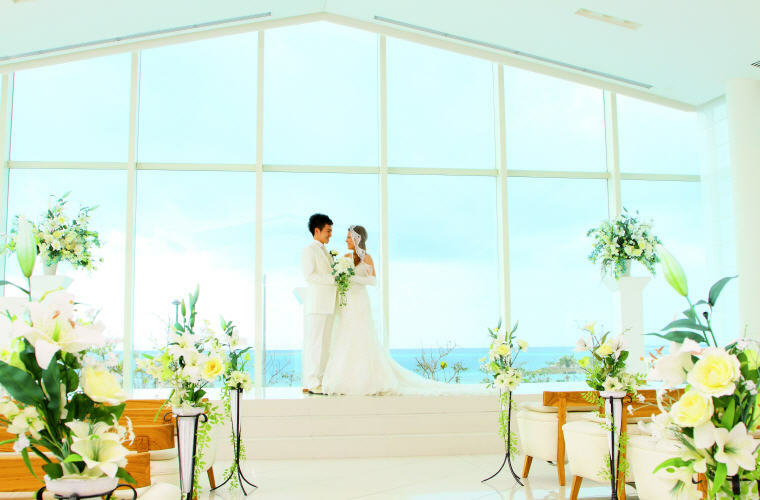 Clear turquoise water, beautiful blue sky and white sandy beaches make Okinawa one of the most popular resort wedding destinations in Japan. It offers weddings with a variety of unique styles, whether elaborate or simple, and with a wide selection of dresses. Someone asking about shopping? 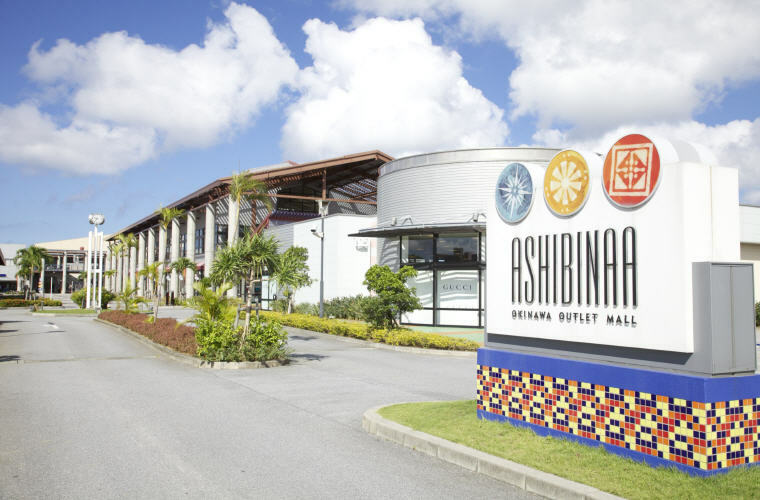 You can have a shopping spree at Ashibinaa Outlet Mall. With more than 100 popular brands, you not only get to shop in a fantastic environment but also to buy quality branded products at 30% to 80% discount on retail price. Ashibinaa Outlet Mall is about 15 minutes taxi ride (around 1500 yen) from the airport and about 20 minutes taxi ride (around 1700 yen) from Naha City on Kumoji Intersection. 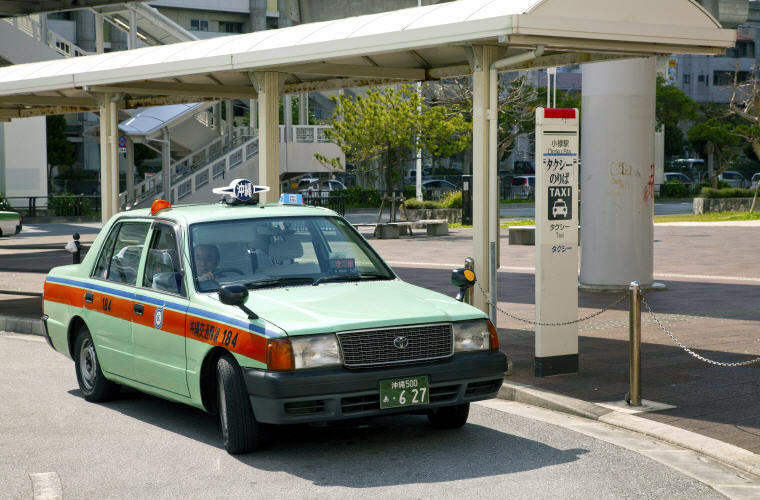 Besides public transportation such as monorail, bus, and taxi, Okinawa also offers rental vehicles such as cars, motorcycles, and bicycles. 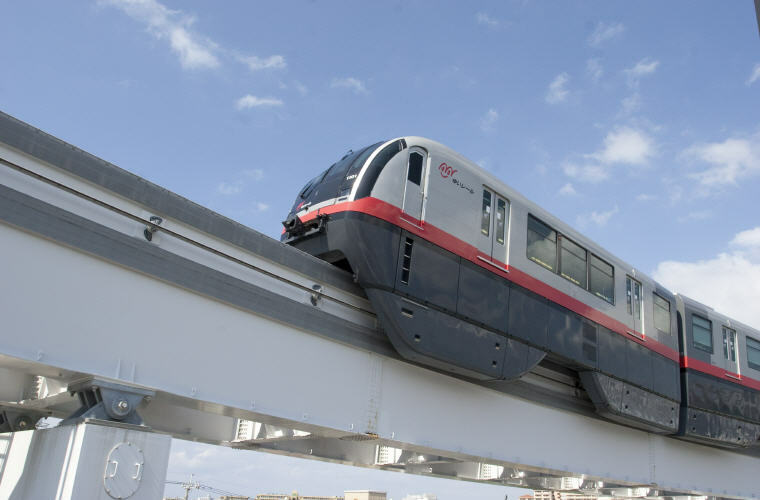 Do make sure you plan ahead of time, so you can enjoy your Okinawa tour using the different modes of transportation. 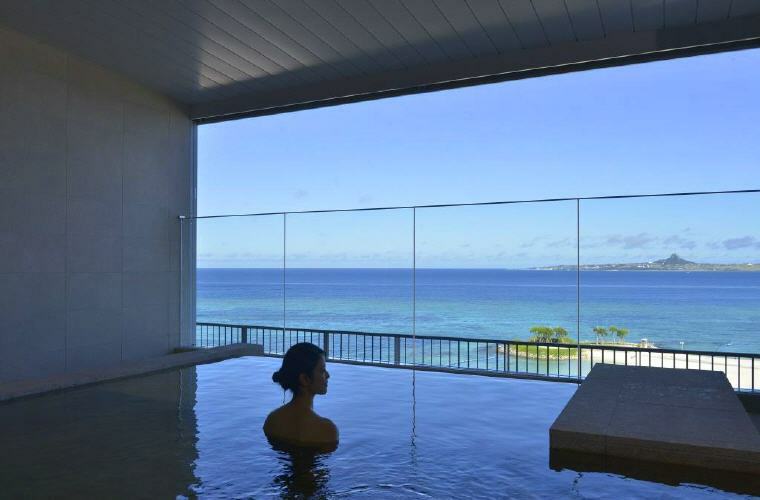 With its subtropical climate, Okinawa stays warm throughout the year. Even in the winter months from December to February, the average high temperature is around 20°C, making the area a popular winter getaway. The excellent time to visit is around late March and April in Spring as long as you avoid the Golden Week from the end of April. The rainy season starts early in May and continues until June. Unlike the rainy season in mainland Japan, it rains neither everyday nor all day long during the rainy season in Okinawa. Summer in Okinawa is hot and humid but still one of the peak visiting seasons, while September brings a succession of fierce typhoons. October and November are again good times to visit.